In4mation hits the collaboration circuit hard with a pair of Bedford sneakers with Vans OTW, and a fresh cap from New Era. 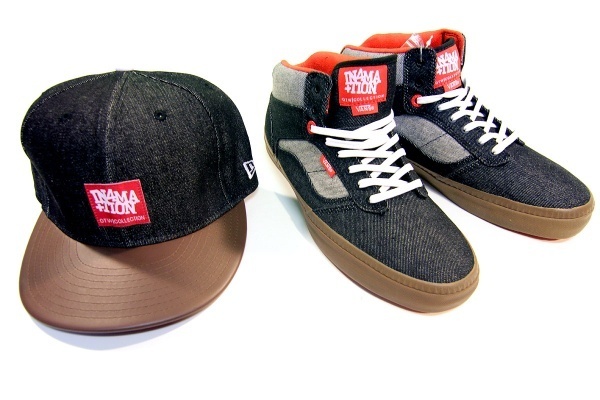 Both sneaker and cap feature black denim to create a breathable yet tough twist on the familiar fabric sneaker design. Limited to just 300 pairs, get the Bedford here, while the cap is here. Best of all, you can get a special 10% discount at In4mation through Scion Partners. Hit up Scion Partners for more information.